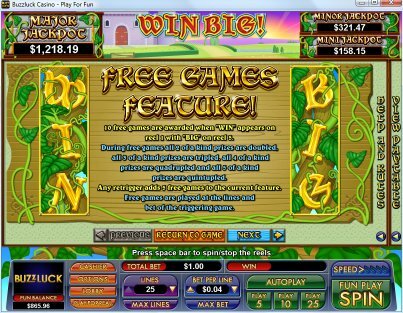 Overview: Revisit your story-book roots and climb the beanstalk to find giant prizes in Nuworks Gaming's new 25-line slot game, Win Big! 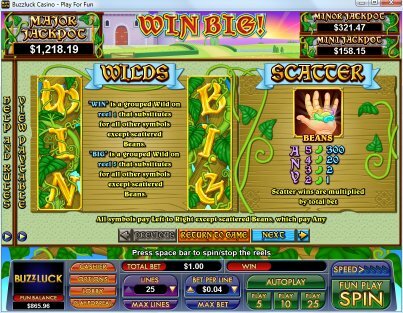 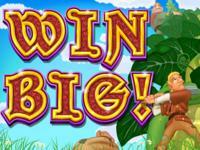 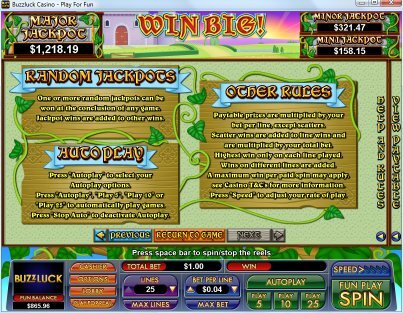 10 free games are awarded when "WIN" appears on reel 1 with "BIG" on reel 5. 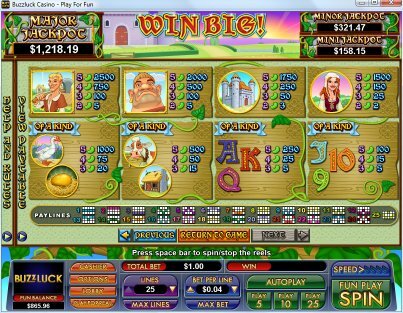 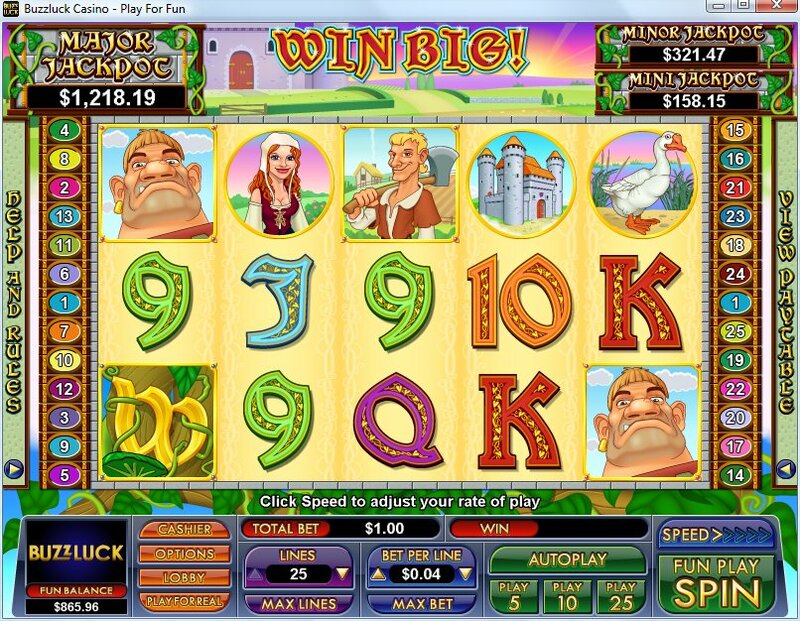 Similar Slots: If you like Win Big!, you might like these other slot machines from NuWorks: Babushka, Cashed Up, Fire, Wind and Water, Judo Ferret, Sword of the Samurai, Winning Shot.